When you wake up from surgery to discover you're Kylie Jenner. It is cruel and unusual to film people when they are coming around from anaesthetic. It’s also terribly amusing. 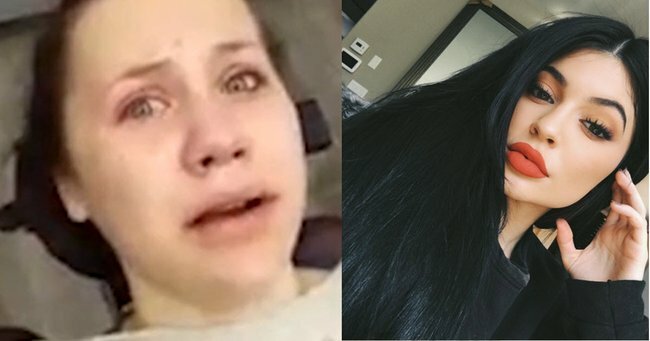 Take this poor, deluded teenager, who underwent surgery to remove her wisdom teeth and woke up a Kardashian (well, a Jenner, same diff). Emma Zamora, 13, with a mouth full of cotton and a bewildered expression, is most indignant to discover she’s been Kylie Jenner this whole time and no one ever told her. Indeed. This would make a marvelous plotline for Keeping Up With the Kardashians. A long lost Kardashian re-enters the fray, happy to be a Kardashian but in need of answers about her past. Emma’s mother Alisha told Self her daughter has never even watched any Kardashian reality shows. Watch Emma’s dawning realisation that she’s Kylie Jenner… Post continues after video. Emma becomes particularly emotional when she realises that if she’s Kylie Jenner, her dad is Caitlyn Jenner. I particularly love the melodramatic “Oh gosh! My life is so crazy…” and the wordly shake of her head. The braces make the whole thing particularly adorable.